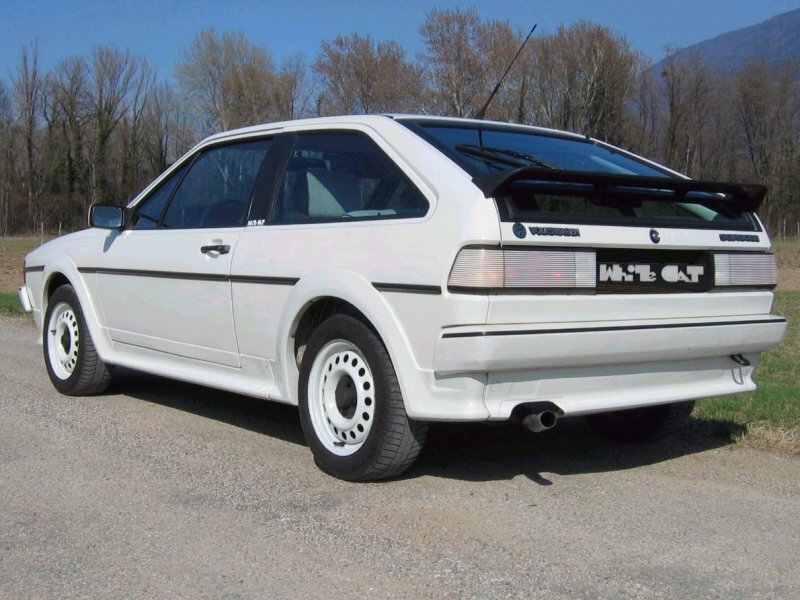 The Scirocco White Cat of 1985 was somewhere between a GT and a Scala. 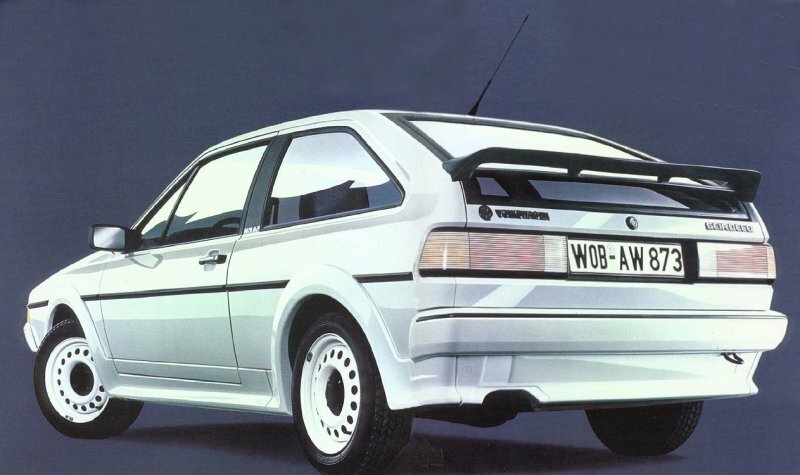 It came in Alpine white (L90E) with colour coded body kit, bumpers and mirrors. 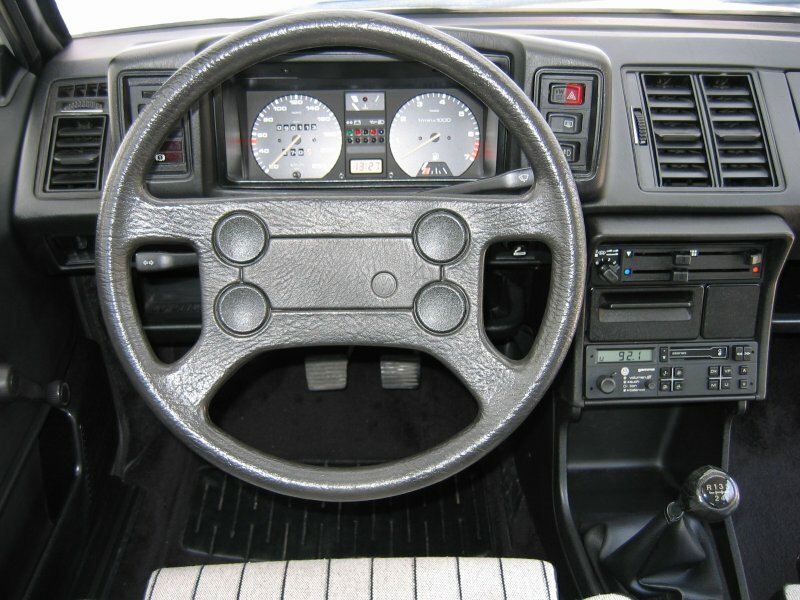 The wheels were standard 14″ GT steel rims but painted Alpine white instead of silver. The tailgate spoiler is the Zender ‘Version 2’ type. Tail lights were the white tinted. 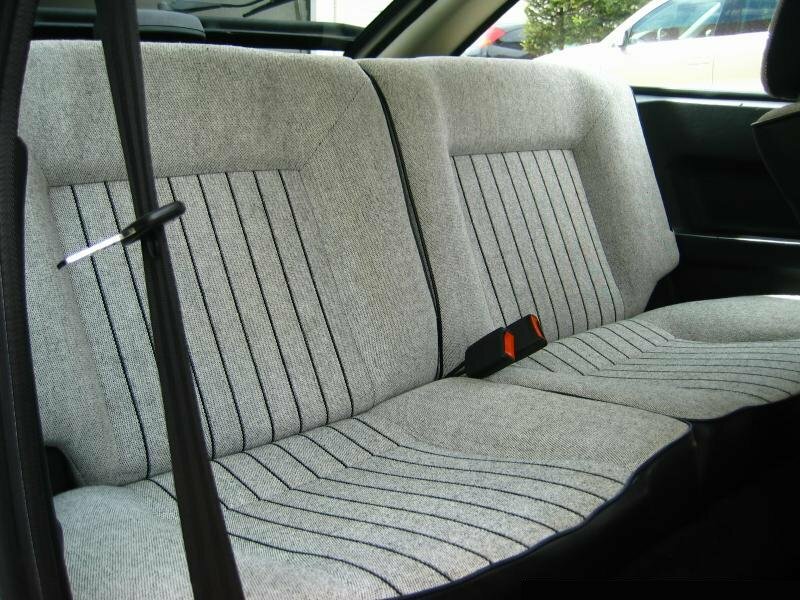 A 16v style Bee sting roof aerial (a.k.a Fuba in North America) was standard as was the Gamma radio. Tinted glass and grey/white sports seats were part of the package. 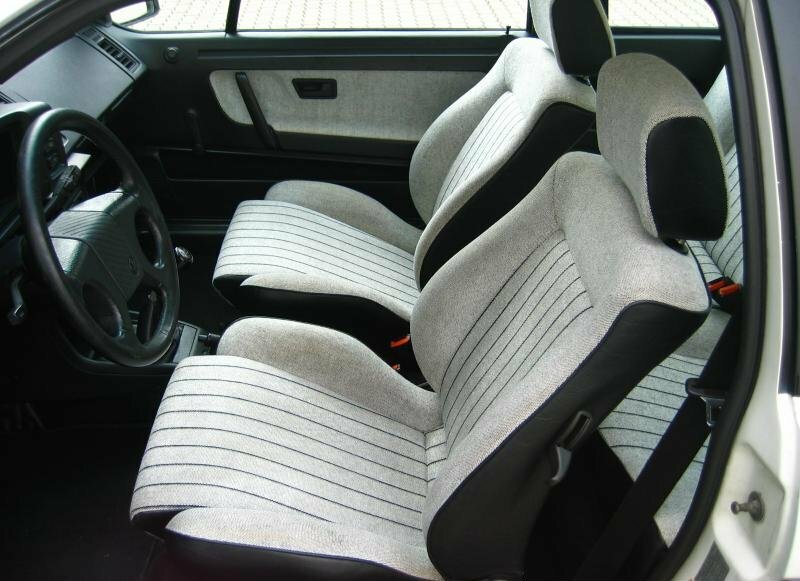 Engine choices were the same as the Tropic. The White Cat sales code was S703 (533 W52). A special White Cat logo was featured on the B-pillar. This was another special edition that never made it to the UK. 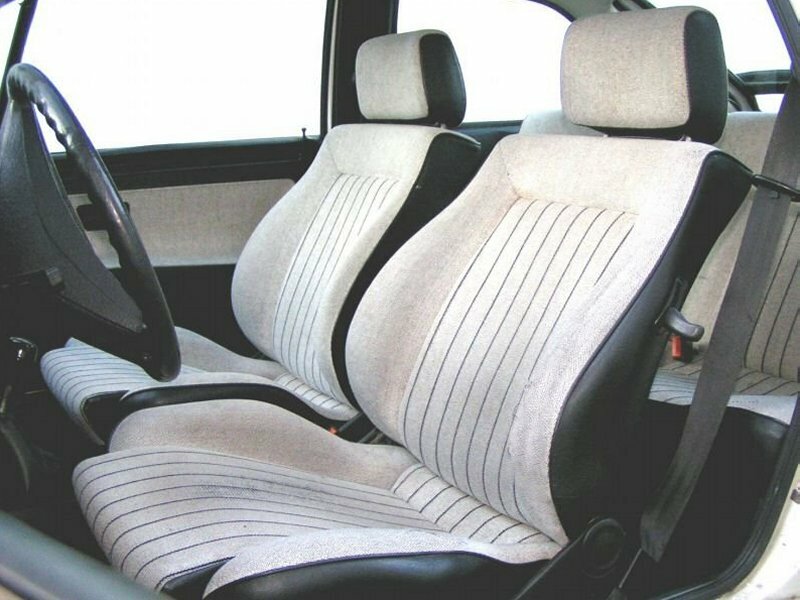 The White Cat interior was exclusive to this model, in a Grey/White material. Trim code 29. 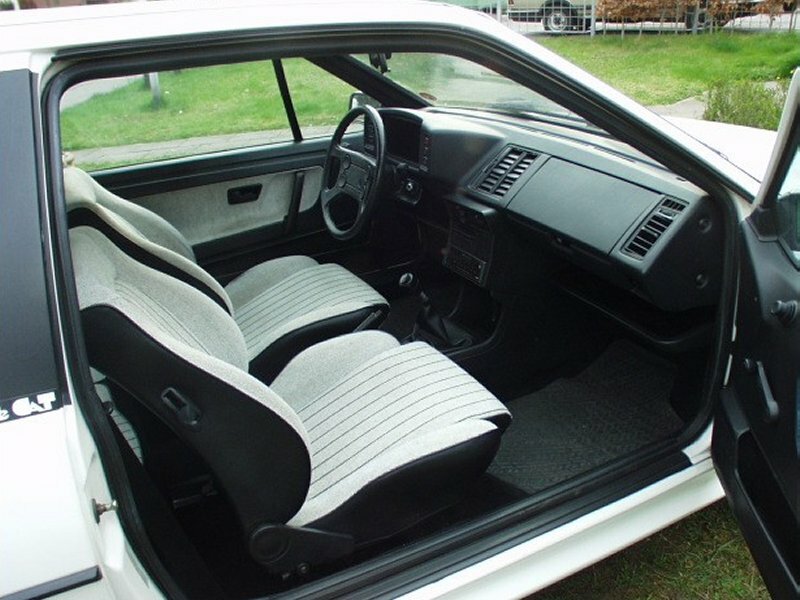 Front and rear views of the Scirocco White Cat. The factory fit Gamma stereo. The White Cat brochure can be downloaded from www.driversfound.com. You can also download the original German Intern brochure. Very special thanks to Rodolphe Woog for help with this page.